The image of the manipulative car salesman has drastically changed. This year began with an increased volume of unsold vehicles on car lots. With industry experts predicting this year’s automotive sales to dip below 17 million vehicles for the first time since 2014, car dealerships now face a major challenge, one that’s also an opportunity in disguise. Let’s face it: Car dealers have a bad rap. Consumers don’t correlate dealerships with seamless experiences. Between research, negotiations and legal documentation, car buying is one long, bumpy path to purchase. If it’s broke, fix it. It’s time for car dealers to market themselves as experience businesses. According to Forrester, 77 percent of consumers choose, recommend or pay more for brands offering personalized experiences and services. Nowhere else is this more applicable than to millennials, the enigmatic generation with buying habits so volatile that they often end up a collective scapegoat for declining industries. But studies have shown this is a demographic receptive to car buying. This time last year, millennials drove all new vehicle sales growth in the U.S.
It’s time for car dealers to market themselves as experience businesses. The market opportunity is undeniable. By 2020, millennials will have a combined buying power of over $31 trillion. To collect a piece of this windfall, dealerships must overhaul their sales practices, which are often marred by tedious negotiations and lengthy holding patterns with disingenuous salespeople, and prioritize an experience-centric mentality that places effective customer connections at the forefront. This is a flawed perspective. Someone who visits a dealership may be looking to buy a car, but an engaging, personalized experience curated down to coffee offerings is the incentive for buyers to go through those doors to begin with. Jordan’s Furniture is renowned for its ingenious “shoppertainment” concept. Buying a couch isn’t exciting, but integrate computerized light and water displays, one of the largest indoor ropes courses in the world and a post-purchase IMAX movie, and suddenly the idea of stopping at Jordan’s becomes irresistible. What’s holding car dealers back from reimagining their showrooms? Not only do 78 percent of millennials prefer to spend money on desirable experiences, but overall consumer spending on experiences has increased by 70 percent since 1987. This explains why some dealerships have already made strides toward experiential retail spaces, offering perks like free Wi-Fi, Starbucks coffee bars and putting greens. The possibilities are ripe for bolder ideas. Consider the impact of specialized experience rooms, offering interactive demos of premium audio systems or virtual reality simulations of vehicle performance across different terrains. 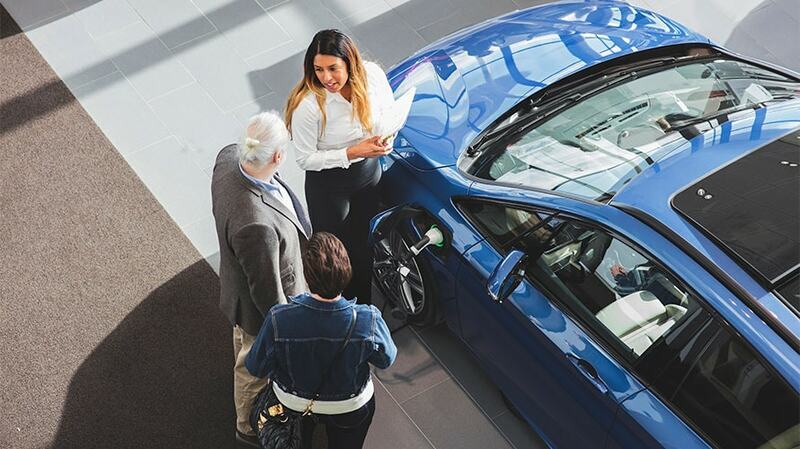 Dealerships represent the final moment of truth to impress a consumer, and a delightful, fully-realized onsite experience must be front and center. The salesperson is both an emblem of the car buying process and the gatekeeper to a customer’s experience. Potential buyers dread the car dealership because they view salespeople as pushy aggressors who prioritize quotas and upselling to actual needs. Two out of three millennials believe they’ll be taken advantage of at a dealership. They will conduct, on average, over 17 hours of research before stepping into the car lot. Duplicitous sales tactics simply won’t work. It’s a basic tenet of business too often neglected in car sales: Focus on customer service. A colleague shared his recent experience with me where one unsavory dealership had a salesman who approached him seconds after he parked on the lot and later tried to pressure him into buying a pricier vehicle he didn’t want. Not all was lost, though, as a different dealership across town had a salesman who patiently informed my colleague of all alternatives and responded to text messages late at night to address questions. His positive experience created a sense of loyalty to that dealership that, coupled with the positive word of mouth, are priceless, indelible factors any business should strive for. Superior customer service doesn’t end once the keys are handed over. Whether leasing a vehicle, using a car subscription service or leaning on rideshare services, today’s car buyer has a wealth of options at their disposal. To combat the disruption ahead, it’s imperative that the car dealer of the future sell experiences rather than simply moving metal. 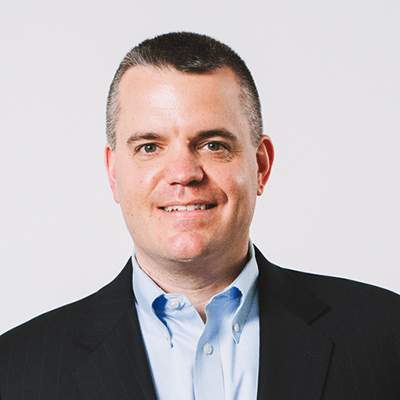 Bill Wyman is vice president of global marketing for lifestyle automotive at Harman International.